PepsiCo CFO Hugh Johnston talks the state of business in the first quarter. PepsiCo Inc reported a better-than-expected quarterly profit, helped by higher demand for its Frito-Lay snacks in North America and beverages in the Americas. Revenue in the Frito-Lay business rose 3.1 percent to $3.32 billion while revenue from the beverage business, which has been hurt by a long-term decline in soft drink sales in the United States, rose marginally to $4.43 billion. "The Americas did terrifically well," Chief Financial Officer Hugh Johnston said in an interview. "Frito-Lay picked up from a volume perspective." Demand was weak in Europe, where the company raised prices as a result of currency impacts, he added. 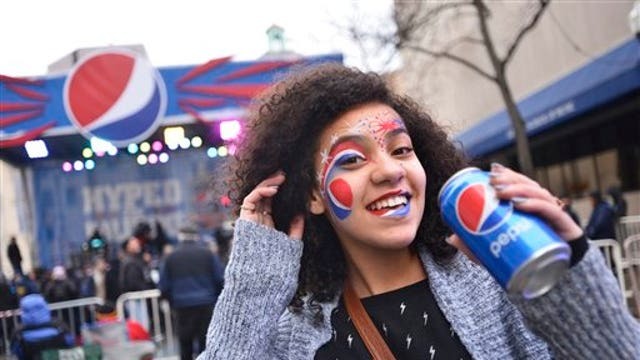 PepsiCo&apos;s net revenue fell 3.2 to $12.22 billion in the first quarter, for the first time in four quarters. The company attributed the decline to a strong dollar and said revenue rose 4.4 percent organically. The company gets at least 30 percent of revenue from outside North America. Rival Coca-Cola Co reported a rise in revenue for the first time in nine quarters on Wednesday, helped by a 6 percent increase in North America, its biggest market. The dollar which has surged about 8.5 percent against a basket of major currencies this year, will hurt 2015 revenue by about 10 percentage points and earnings by about 11 percentage points, PepsiCo said. The company had said a strong dollar was expected to hurt full-year revenue and earnings by about 7 percentage points. Net income attributable to PepsiCo was little changed at $1.22 billion in the quarter ended March 21, but earnings per share rose to 81 cents from 79. Excluding items, PepsiCo earned 83 cents per share. Analysts had expected profit of 79 cents per share on revenue of $12.18 billion, according to Thomson Reuters I/B/E/S. PepsiCo has exceeded Wall Street&apos;s profit estimates for 13 straight quarters including the latest quarter.